This Google Chrome Extension (Flock Extension) Developed By K.Vimalaranjan (Verified google author). 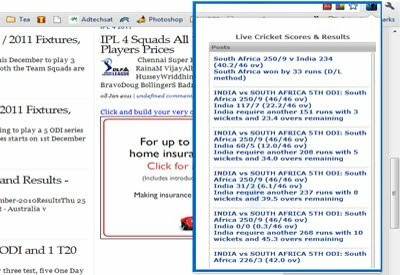 By installing this Extension you can easily get Live Cricket Score Updates from Facebook, Cricket Highlights, Cricket News, Cricket Videos and Pictures and so on. The above picture shows the Installed Extension View.